Polands Finance Minister is satisfied with the result of the auction of Polish bonds issued earlier this week. Deputy Finance Minister Majszczyk announced that Poland will not exeed the planned budget deficit and forcasts economic growth for the second half of the year. Today, Austrian power supply company EVN informed the state of Bulgaria about opening arbitration proceedings. After protests among Cyprus‘ citizens arised and harsh criticism was expressed, the government now intends to exclude small savers from the compulsary tax and grant them a relief. The Cyprian parliament is unlikely to vote in favor for the rescue package which forces bank clients to contribute with their private money. Since the beginning of March, Hungary´s National Bank MNB has a new governor. 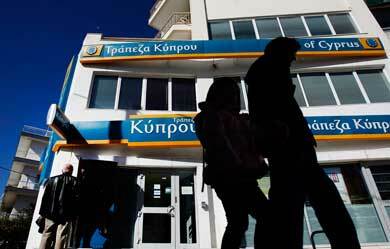 The government wants MNB to lower the base rate further. Both governments have come to an agreement, similar to the Treaty on the Basis of Relations (Basic Treaty) between the two German states. Russia being the biggest investor in Cyprus offered extension of credits. In return, austerity measures and reforms are demanded. Declining inflation was supported by weaker demand and cost pressures in the economy, decrease in energy price growth as well as zloty exchange rate stronger than a year ago. 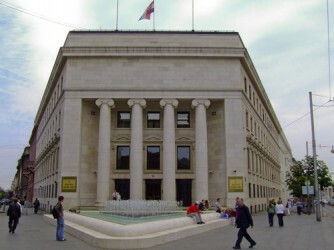 At its session today, the Croatian National Bank (CNB) Council examined the latest monetary and economic indicators as well as a report on the banking system condition in the last quarter of 2012. The Executive Board of the National Bank has decided in its meeting to keep the key policy rate at 11.75%. The first meeting of the Belgrade Initiative, a host country cross-border banking forum, was held in Belgrade today. 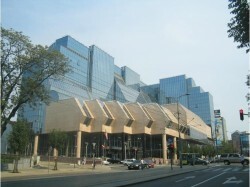 The Governing Board of the Bank of Slovenia discussed current economic and financial developments. The Baltic country wants to become a member of the Eurozone by 2014. Latvia: Eager for the Euro. But ready? Latvia’s leadership considers adopting the Euro in 2015 or 2016. Despite of showing the fastest economic growth rate at 5.1 % in Europe, there is scepticism Latvian population. As the interest rate was cut to a technical zero, the Czech National Bank considers intervening against the crown. Over the past year, the assets of banks operating in the country and branches of foreign banks decreased. 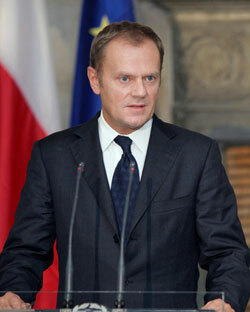 Poland´s President Bronislaw Komorowski has signed the EU Fiscal Pact this week. 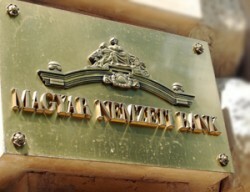 Due to the economic crisis, Hungary´s National Bank (MNB) has lowered the interest rate from 5.50% to 5.25%. Poland´s Treasury Minister Mikolaj Budzanowski explained that Poland cannot afford the nuclear power plant. NBU, the National Bank of Ukraine stresses that deposits and lending is growing decently. The inflation remains low. The Hungarian National Bank has today published the results of its latest lending survey. The survey conducted in January 2013 found that credit conditions for non-financial corporations had not been tightened further. “In line with our expectations and market consensus, the central bank remained on hold at its latest monetary policy meeting (5 February)”, Raiffeisen Research reports. Hryvnia enjoyed good support at the market in early 2013 amid diminished depreciation expectations and accelerated debt inflows, Raiffeisen Research reports. 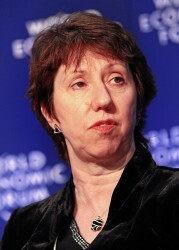 The visit of IMF mission to Kyiv did not bring the immediate results. Raiffeisen Research expects the negotiations to be rather prolonged. Latvia´s government is proud of its austerity course of the last years. According to Prime Minister Valdis Dombrovskis, the country is ready for the euro. At the moment, the market for consumer loans is growing by 40%. The household indebtedness is still relatively low. In 2015, the Baltic country wants to become a member of the Eurozone. According to Prime Minister Algirdas Butkevicius, the IMF welcomes this decision. In the last decade, Russia´s government has transformed the oil exports into gold reserves. No other country has bought more gold in the last years. The Czech National Bank comments on the January 2013 inflation figures. Russia´s National Bank faces a growing inflation rate. At the same time, the economic growth flattens. International reserves increased by USD 106 million over January 2013. 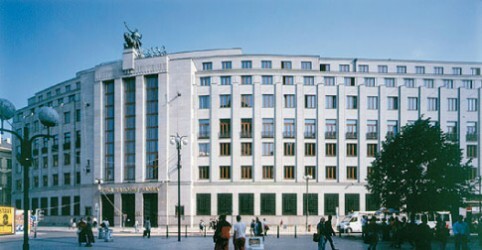 The Council of the National Bank of Poland decided to decrease the interest rates by 0.25 percentage points. The CNB Bank Board decided at its meeting today to keep interest rates unchanged. 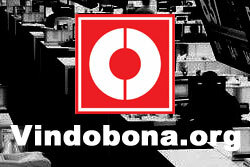 The two-week repo rate was maintained at 0.05%, the discount rate at 0.05% and the Lombard rate at 0.25%. 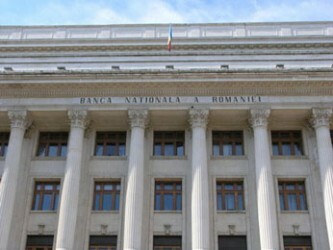 In its meeting, the Board of the National Bank of Romania decided to keep the monetary policy rate unchanged at 5.25 percent per annum and too ensure adequate liquidity management in the banking system. NBP Report: In the fourth quarter of 2012, the banks continued to reduce the availability of loans to households and small and medium-sized enterprises. The banks expected demand for housing loans to decline sharply in the first quarter of 2013. Central bank to remain on hold, but room to ease control over liquidity conditions has increased, Raiffeisen Research reports. In the Czech Republic, the ruling coalition parties do not have a common point of view. Governor of NBP (National Bank of Poland) Marek Belka argues that the country will not meet all the Maastricht Criteria simultaneously. 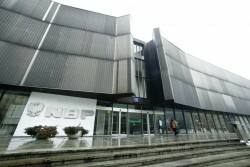 Today, the European Central Bank (ECB) decided to extend the two-year central bank cooperation programme with the National Bank of Serbia (NBS). In an interview with the Austrian daily newspaper “Kurier”, Latvia´s Prime Minister Valdis Dombrovskis explains why Latvia joins the Eurozone. However, the Latvians are not convinced at all. The asset quality in the banking sector shows first signs of stabilization, Raiffeisen Research reports.